Rakia is as rooted in Bulgarian history and existence as is bourbon in American. It has aided the nation in surviving its hardest years and has helped bring many bright ideas to live. In case you haven't tried it yet, rakia is hard liquor from the brandy family. It is made from fermented grapes, plums, or virtually any fruit with sugars in it. Its alcohol content varies from 40% for the commercially sold liquor to 70-80% of pure firewater for the home-produced rakia. Some of the most popular brands of rakia are Peshterska, Slivenksa Perla, Sungurlarska, Burgas 63, Kehlibar, Karnobat. Drink it ice cold, preferably straight up (no rocks), and have a Shopska salad, lukanka or at least a few pickles standing by. The process of making rakia is relatively simple. Half of the joy and experience of rakia comes from the rakia making process. It is an old tradition which is still closely followed by Bulgarians, pretty much as all other Bulgarian traditions. The first step in the rakia making process is picking up the fruit. In our example, we will use plums as our fruit of choice. Plums are best picked up when they are over ripen, late in the summer, and about to drop from the tree on their own. Letâ€™s not forget that making rakia is a process that one should enjoy and what is more likely to kill the joy than physical labor. For this, Bulgarians do not pick the fruits from the trees - rather they place a large sheet under the tree and then violently shake the branches. Needless to say, the results are as expected â€“ the fruit which is ripe enough to make rakia ends up on the sheet. The plums are then taken to the location where the rakia will be distilled. The distillation process starts with filling up a large barrel (65 gallons or more) with the fruit. The barrel is filled up to 1/3 with plums with the rest 2/3 filled with sugary water solution (3 lbs of sugar to 1 gallon of water ratio). The mixture is then mashed and stirred at least twice a day for the next three weeks, with the fermentation starting almost immediately in the warm August weather. Once the mixture is no longer bubbling (at which point it is actually wine with very bad taste), it is ready for distilling the rakia. Every town and village in Bulgaria has one or more distilleries that cater to the community. The distillery can have as little is one still or as much as half a dozen. The demand for these distilleries is so big in the months of August thru November, that many of them require customers to book an appointment prior to coming over and distilling their rakia. The day on which people get to distill their rakia, needless to say, is eagerly anticipated as eating, partying and drinking from the still is all part of the experience. On the day of the distillation, the customers bring the large barrel of mash to the distillery on their own. You would wonder how do they lift a 65 gallon barrel to place on a truck so they can carry it over to the distillery? As mentioned, Bulgarians have tried to take out any unnecessary manual labor from an already labor-intensive process. For this, they would put an empty barrel on the truck and then transfer the contents of the heavy full barrel to the one on the truck. Although today many distilleries offer everything that is needed to produce the rakia from the fermented mash, in the old days there were plenty of other things that people had to bring along on the day of the distillation. Wood, for example, was one of those things. In the past wood was loaded on the truck and around the barrel jamming it against the sides of the cart to stop it from toppling over during the bumpy ride to the distillery. Then there was flour, which was used to seal any openings or crevices of the copper stills. Flour was transported separately to minimize risk of getting it moist if the mash spills during transportation. When all ingredients are at the distillery, the actual distillation can start. The still is primed with coriander, oils, extracts and other "family secret" ingredients. The mash is then poured into the still. If the still has any openings or crevices, a dough is prepared from the flour and it is then molded around the still and pipes to seal them and make them air tight. The fire under the still is then lit and distillation begins. It takes about an hour before the first alcohol-containing vapors begin to separate from the mash. The steam is then forced through the sealed pipes into a cooling condenser. The condenser help cool down the vapor which runs into a separate container and is the actual rakia. The clear liquid initially has a very high alcohol content and is usually discarded. The alcohol content is measured often and only rakia with lower alcohol content (between 50-70%) is kept although this entirely depends on the makerâ€™s preference. The longer the distillation continues the lower the percentage of alcohol drops. When the rakia gets below 30%, the liquid is preserved only to be added to the next batch of mash and be distilled again. Of course in the meantime, for the sake of the genuine experience, the rakia makers are cooking food using the same fire that heats up the mash. So while the rakia is boiling the rakia makers are having a feast with some beer and wine they had brought along while also tasting the freshly made produce occasionally. When the process is over, the customer takes the fresh rakia back home to continue the maturation process. Depending on preferences, people add apple pieces, spices, wood, and other ingredients into the rakia. This changes its color from clear to distinctively colored. The rakia then could be closed in barrels to mature for years or could be consumed within weeks, also depending on its owner drinking habits and average number of guests for the season. 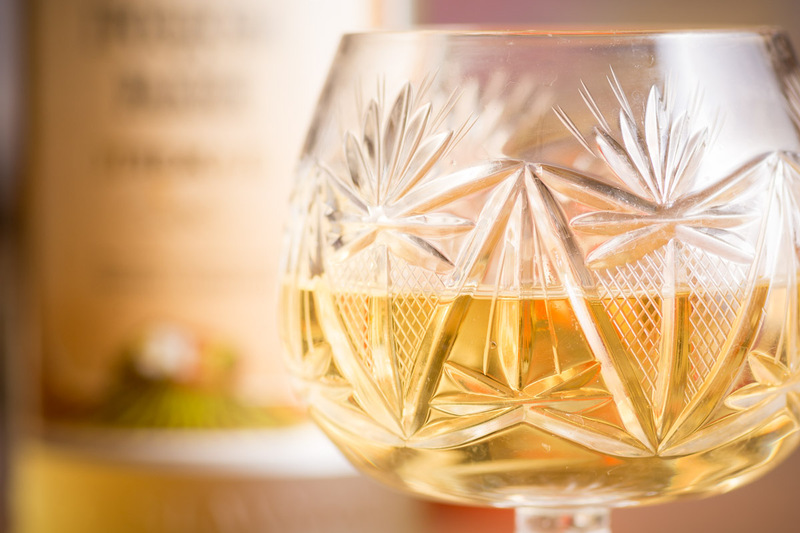 In general, rakia is considered a sign of hospitality and every guest is offered a tiny glassful as a symbolic gesture. In Bulgaria rakia is generally served with shopska salad, milk salad, pickled vegetables (trushiya) or any other salads, which form the first course of the meal. Another popular way of serving rakia is greyana or cooked. The rakia is sweetened and heated (see recipe) and spices are added. The greyana rakia is strong in taste and flavor and is believed to help in curing many respiratory diseases and other illnesses. Rakia (Ñ€Ð°ÐºÐ¸Ñ, rakija, raki, Ñ€Ð°ÐºÐ¸Ñ˜Ð°, pÃ¡lenka) is the traditional drink of Bulgaria. It is a clear alcoholic beverage made by the distillation of fermented fruit. It has a high alcohol content varying anywhere between 40% and 95% alc. (80 to 190 proof), making it a potent drink. There are different types of rakia, all depending on what fruit it is made of (grapes, plums, apricots, pears, apples, cherries, figs, quinces). In Bulgaria, rakia made from grapes (like Italian grappa) is the most popular, but slivovitza (rakia made from plums) is also popular. Making rakia at home has been a part of Bulgarian traditions for centuries (scroll down for a recipe). Nowadays more and more of the produce is being commercially produced in distilleries. The authentic Bulgarian rakias (or grappas) have a highly distinctive flavor and a deep and smooth taste. They are produced according to age old local traditions. Rakia is most commonly made from grapes and is a limpid, crystal-clear liquid with an intense aroma and the fine unmistakable flavor of the grape (Muscat, Cabernet, Gewurztraminer, Chardonnay, etc) it is made from. Colors and taste can vary â€“ the color of rakia could vary from liquid clear to golden salmon and the taste could vary from distinctively grape-tasting to vanilla and toasted nut flavors, with powdered sugar and pepper fade nuances. Other type of fruits used in producing rakia are grapes, plums, pears, apricots, apples, cherries and peaches. Rakia can also be made from rose petals which contribute to an amazing rose flavor. Generally, there are two rakia making sessions during the year. The plum rakia making season takes place in August to September and the grape rakia making season takes place from the end of September to the end of November. Rakia recipes are centuries old and each part of Bulgaria has its own variety and secret ingredients. You can find rakia recipes that contain anise, herbs, honey, walnuts, mint, sour cherries, etc. Sometimes rakia is mixed with herbs, honey, sour cherries (then it becomes vishnovka) or walnuts after distillation and it takes on a dark color. Needless to say, every time the result is exquisite and the experience is unique. Rakia is Bulgaria's national drink. It is part and parcel of everyday life here, and somehow Bulgaria wouldn't be the same without it. "Rakia and Salad", is a combination unsurpassed and is the perfect compliment of food and drink in Bulgaria. For many generations rakia has been made in the Bulgarian villages, just like its younger sibling - wine. Bulgarian's are very proud of the rakia they make in which you can easily get convinced when you visit a Bulgarian friend â€“ they will not hesitate to open up a bottle of their own produce and share the joy with you. Rakia is available in our online store! Click to Buy It Online Now! Email this recipe to you or to a friend.